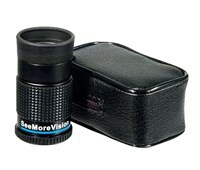 8 x 20mm magnification Near Focus Monocular with soft protective case and eye cup. Includes detachable neck cord. 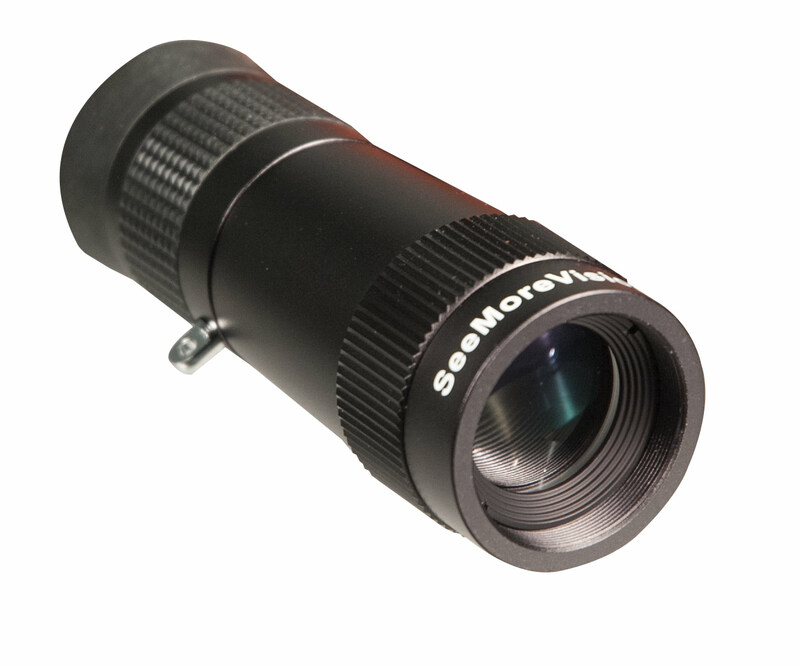 Measures 98mm H x 34mm W. Weighs 112g. Adjusting the focus is easy; just look at the subject, rotate the focusing ring until the subject comes into focus. For eyeglass users, fold down the rubber eyeguard before using. 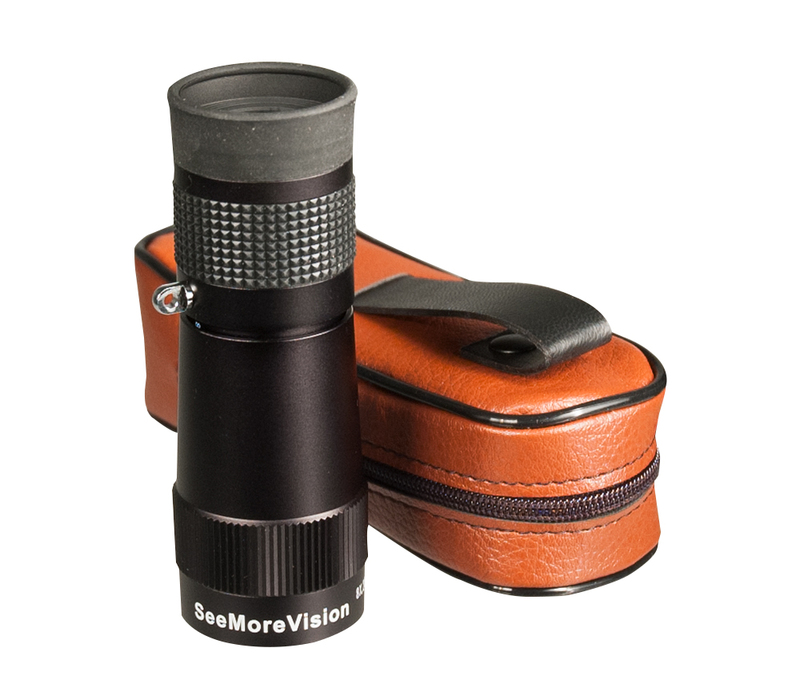 The field of view is improved! 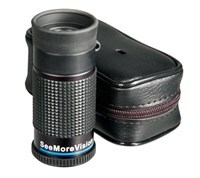 Includes eyepiece, rubber eyeguard, focusing ring, objective lens, strap eyelet.